Christopher Stringer has been a designer at Apple since 1995, so he has been part of both Apple’s struggles and its meteoric rise back to success after the return of Steve Jobs in 1997. Working under Ive and alongside Howarth, he has been a part of Apple’s most iconic products of the last 20 years, including both the iPhone and iPad. He is best known publicly for his important role as a witness in the Apple-Samsung patent trials. Whether Stringer, who is 52 years old, is retiring or leaving Apple to work on other projects has not been revealed. His departure date has also not become public knowledge yet, however I’m sure they will soon given the importance of design at Apple and Stringer’s closeness with Jony Ive. If in fact Stringer does turn out to be leaving to take on another challenge, it will become a story in the tech press. The Apple design team that was considered to be impenetrable at one point a few years ago has seen a few people move on to other gigs since Ive was promoted and became more hands-off with the actual design of products. 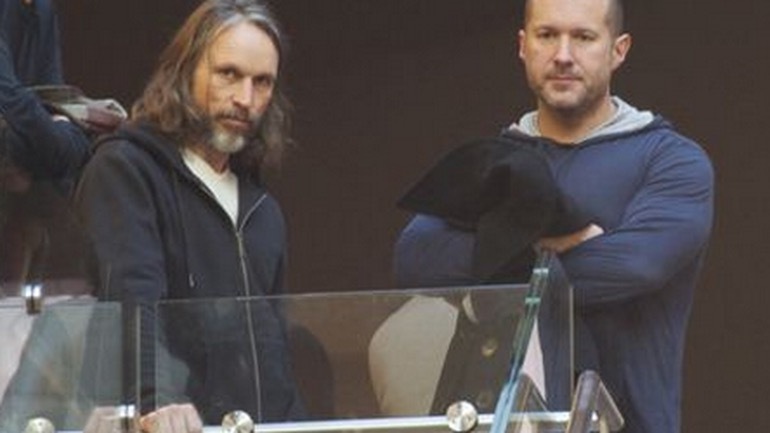 When Ive was promoted to Chief Design Officer two years ago, it was thought that Stringer and Howarth were the two top contenders to take over heading up Apple’s design studio. Howarth received the promotion, but the fact that Stringer has stayed on for an additional two years after would indicate to me that his leaving is less an issue of sour grapes, and more that Mr Stringer see this as time to move on to other things, whatever they are. I’m sure rumors will abound, whether Stringer retires or goes elsewhere, but I won’t engage in spreading them here. No matter what his reasons for leaving, what Apple fans and the tech press alike should do is say thank you and show respect to a man who has helped to shape some of the most popular and most iconic products of the last 20 years. Thank you for your work, Christopher Stringer, and good luck in your future endeavors, whatever they may be.